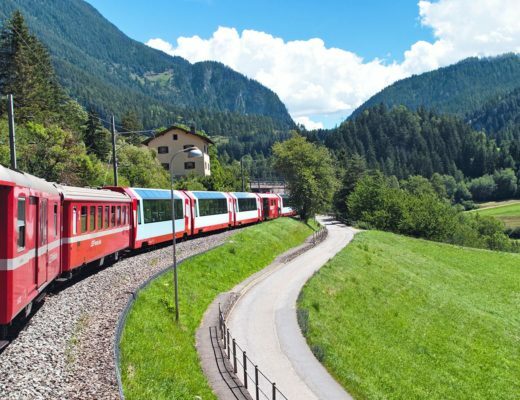 Nestled along the border with Germany, the Alsace is one of France’s most unique regions. 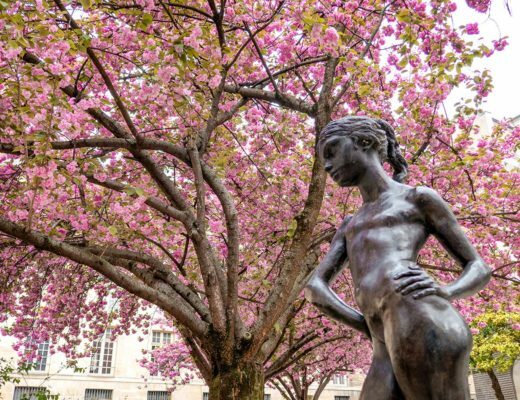 When I was planning a European rail trip, it seemed like the perfect place to start – and I think I might have found a new contender for my favourite French city. 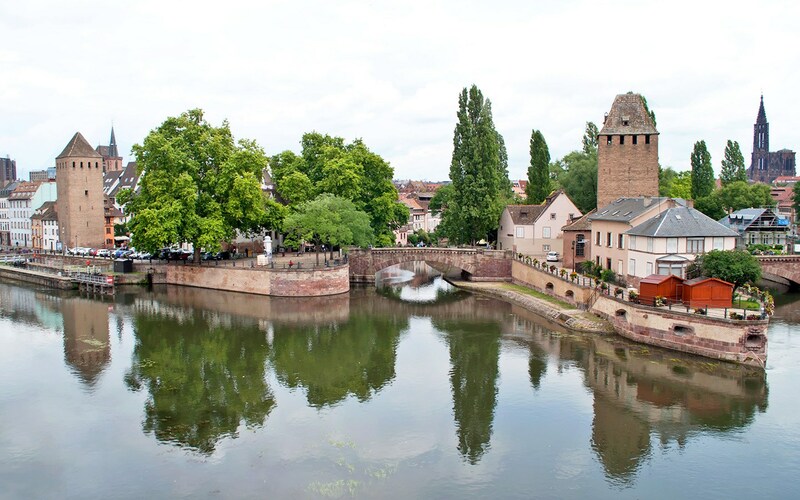 Strasbourg has a beautiful riverside setting, buildings which are straight out of a fairytale and that unusual combination of French and German influences. It’s small enough to be able to walk around but big enough to have plenty of places to eat and drink – and come winter it goes totally over-the-top as a Christmas wonderland. 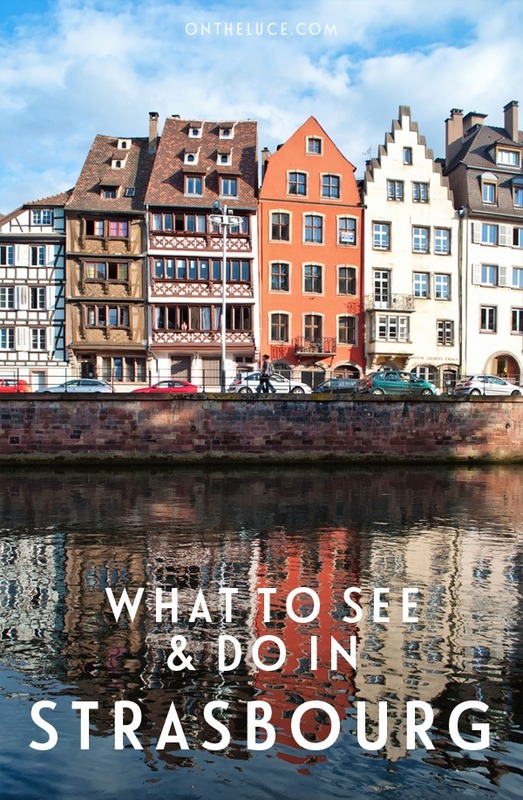 So here are some of my favourite things to do in Strasbourg. 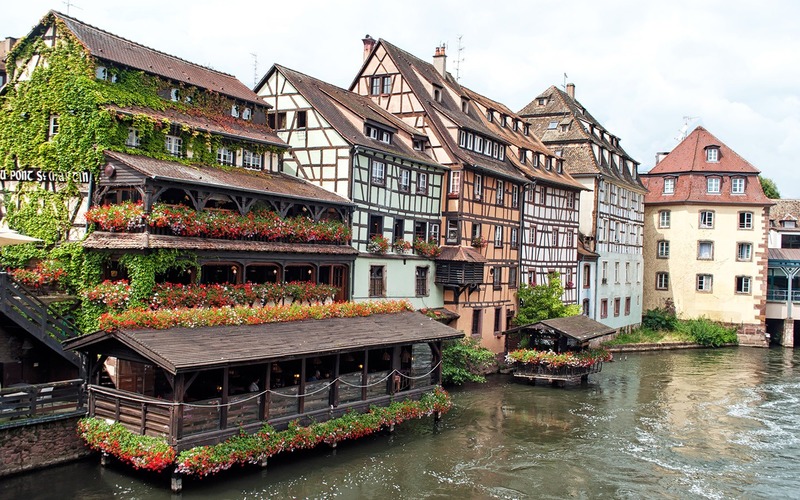 Strasbourg’s Petite-France district is its historic heart – with its narrow streets of half-timbered houses lining the canalside, decked out with colourful baskets of flowers. 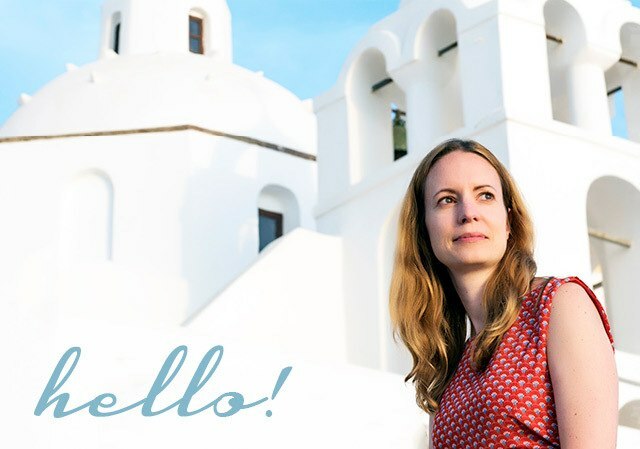 Originally the houses here were built for tanners, fishermen and millers, but today you’re more likely to find restaurants, hotels and gift shops. 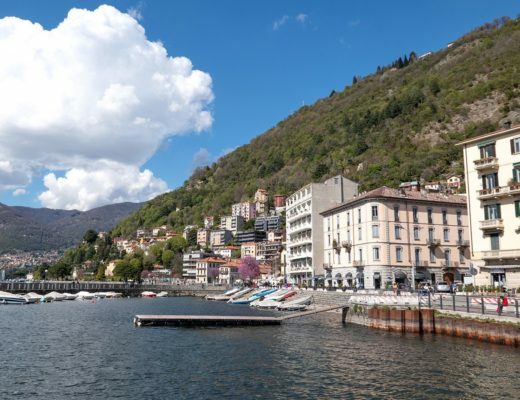 Despite being busy it’s a really charming place to wander around the backstreets or stop for a drink along the waterfront. One of the best views of Petite-France is from the terrace on top of the Barrage Vaubin, a 17th-century weir. From there you get a great view of the covered bridges – which slightly confusingly haven’t been covered for the last 300 years. 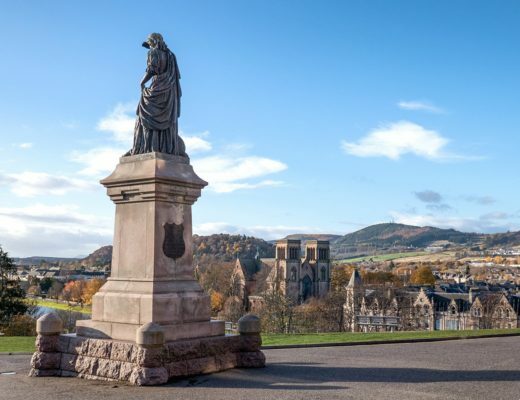 There are also four square stone towers, which are all that’s left of the 14th-century ramparts that were built to protect the city. 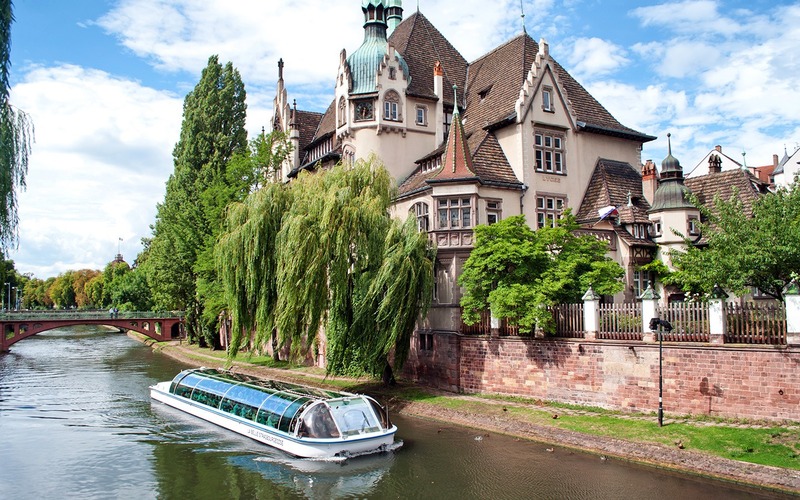 Strasbourg’s old town is an island – the Grande Ile – encircled by canals and the River Ill. 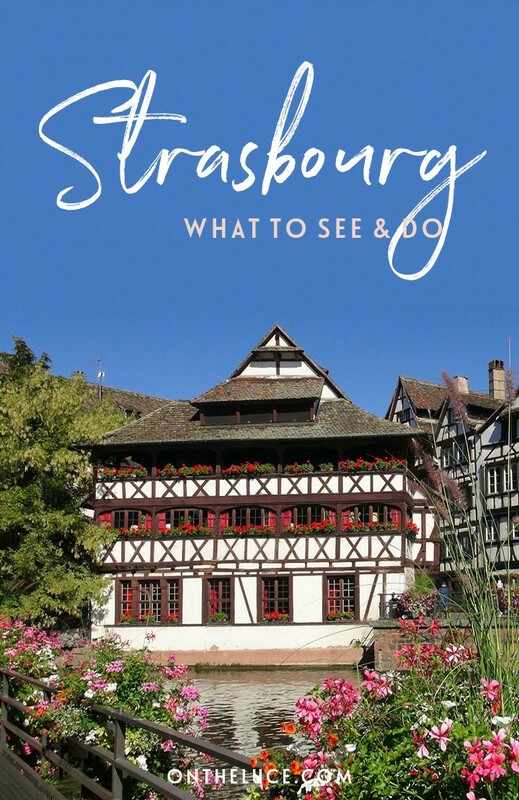 So one of the best ways to get an overview of the city is on a Strasbourg sightseeing boat tour (€13 for adults, runs up to 35 times a day and takes 70 mins). Some boats are open-top for sunny days and there’s a commentary in 12 languages so you know what you’re looking at. 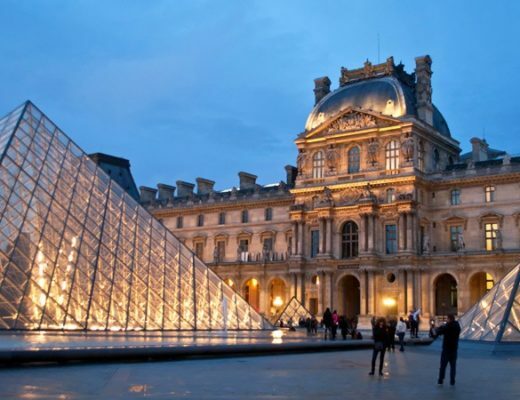 The route starts in Petite-France, stopping at two locks because this area has a higher water level, then carries on through the tanners’ quarter, under the covered bridges, past the Barrage Vauban and the Neustadt Imperial Quarter. It also travels up the river to the European institutions. This area’s a complete contrast to Petite-France – with ultra-modern glass buildings housing the European Parliament, European Court of Human Rights and Council of Europe. Gothic Strasbourg cathedral towers over the city – for over 200 years until 1874 it was the world’s tallest building. It was supposed to have two spires but only one was ever built, which you can see from over 30 miles away. You can’t climb to the top of the spire, but you can climb 320 steps to the cathedral’s viewing platform. You need a head for heights though as the spiral staircases run up the corners of the building so you can see right down to the ground. From the top you can see as far as the Black Forest over the border in Germany on a clear day as well as having a bird’s eye view of the red roofs of the old city below. Back on ground level it’s worth popping inside the cathedral, especially on a sunny day when the light shines through the stained-glass windows. It also has one of the world’s largest astronomical clocks which strikes ‘noon’ (at 12.30pm!) with animated figures of the 12 Apostles parading in front of Jesus. 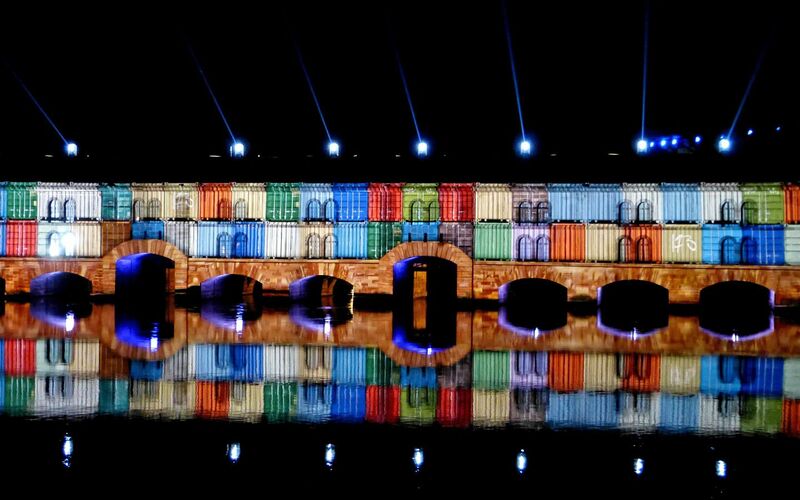 During the summer nights, Strasbourg’s cathedral and Barrage Vaubin are transformed into giant canvases for a sound and light show (shows last 10 mins and run several times a night from July to September). Each year the show is slightly different. This year the barrage transformed into everything from a train to a sea monster, all reflected in the water below. Lights above, inside and under the arches help make it seem like the building has come to life. And at the cathedral the architecture was used really cleverly to make it seem like it was on fire or had demons crawling through the stained glass windows. I’d never seen anything like it – but you can get an idea from this video of a past show at the Barrage. 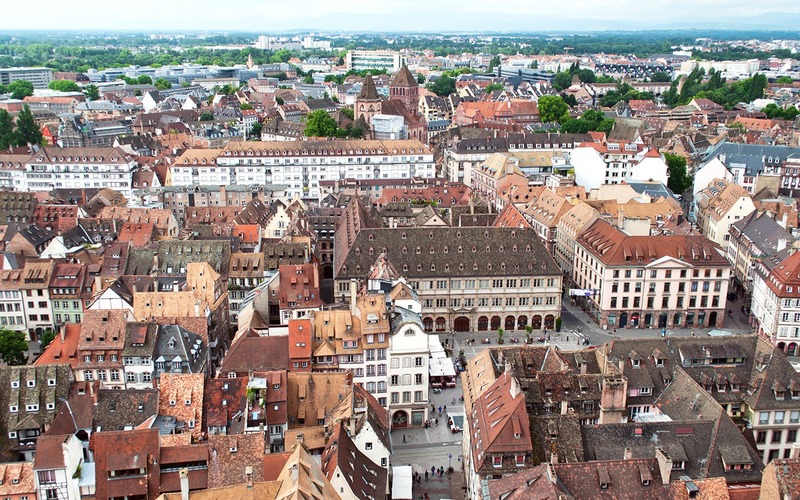 The Alsace region is famous for its beer and wine – and Strasbourg is a great place to try some. Its dry Reislings are the most well-known but there are also other white wines like Gewürztraminer and sparkling Crémant d’Alsace. 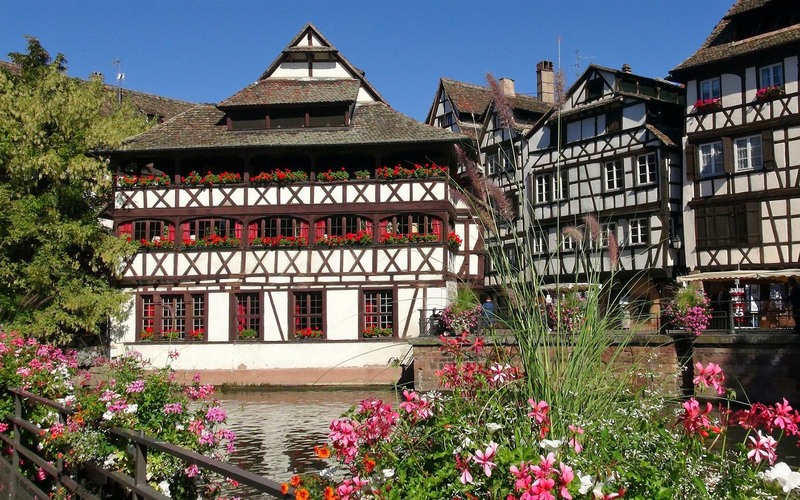 You can take a half-day tour of the Alsace wine region from Strasbourg to find out more. The Alsace is also France’s biggest beer producing region, and there are microbreweries in Strasbourg like Kohler-Rehm and Lanterne. Soak up the alcohol with some of the Alsace’s traditional dishes. Try tarte flambée (a thin pizza covered with crème fraîche, onions and lardons), choucroute garnie (picked cabbage served with boiled potatoes and sausages) or bäckeoffe (a casserole made from beef, pork and lamb). And in winter fill up on bredele biscuits and vin chaud at the Christmas markets. 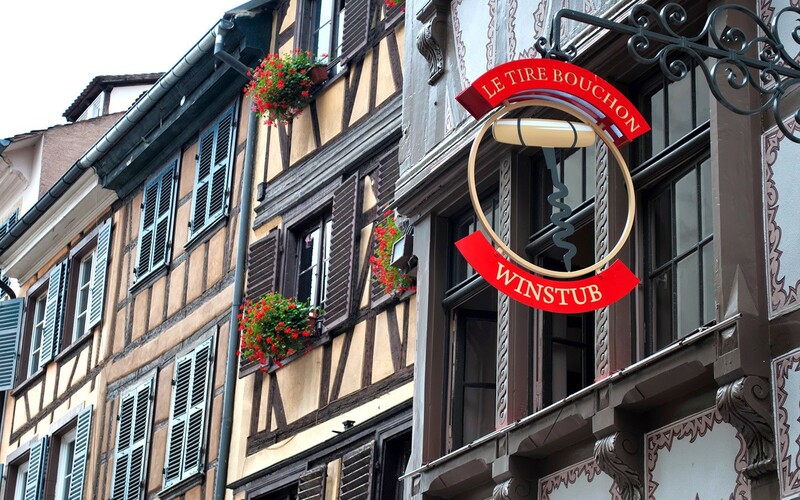 Looking for somewhere to stay in Strasbourg?